Rise to the challenge and battle your way to greatness!Take on the role as trainer, prepare for combat and lead your Champs to victory against your friends.Kiloo presents an action arcade adventure like no other. 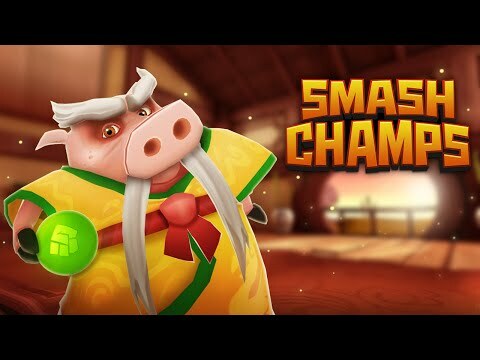 Form a team, challenge your opponents and become the greatest trainer of Smash Champs! FEATURES:★ CHALLENGE friends and foes in turn-based online play★ TRAIN your Champs for combat with lightning fast swipe action ★ RISE through the ranks to become a legendary trainer★ UNLOCK Champs and customize them with powerful gear ★ DISCOVER triumph in spectacular combat cinematics*Note: A network connection is required to play.